Marathon Racing is taking a lot of flack right now, with the ICF releasing new rules and a 30 second penalty box similar to water-polo for paddling offenses. It’s been interesting to read the discussion on the FaceBook page where some of the sports greats are debating the rules. For me personally, nothing beats racing my surfski, that being said, marathons are a great way to stay fit and the racing is intense! 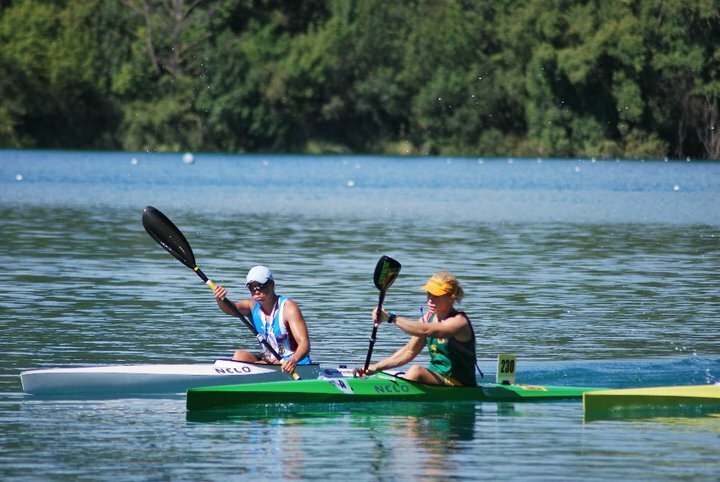 Over the past few years I have had some success racing the World Championships, with a bronze medal at my first ever Worlds in Gyor, Hungary in the WK2 with Nikki Mocke. After that I stayed away from marathons until Portugal in 2009 which was a hard race, top 10 in the K1, and a DNF in the K2. The following year began my “Wooden Medal” curse. 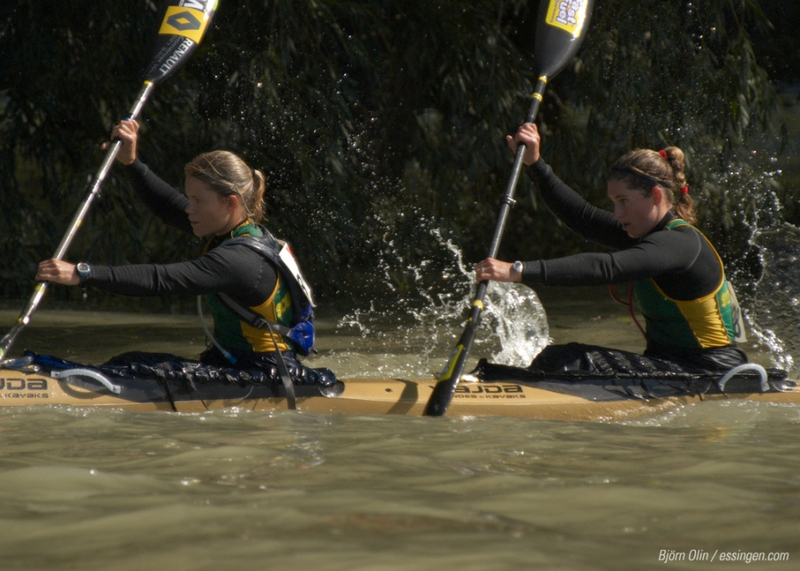 After a terrible start in the K1 race, I managed to catch up and race a fantastic 26km, until the last portage and a small hiccup, leading to being out sprinted for the bronze. The first of my “Wooden” medals. The following day Bridgitte Hartley and I hopped in a double, and once again, got out sprinted for the bronze, #2 of my “wooden gongs”. 2011 saw me injured and miss the Worlds in Singapore. The following year in Rome, saw my 3rd “wooden” medal in the K2 with Robyn Kime. Not out sprinted this time, a nasty penultimate portage saw us lose the bunch and therefore be out of contention. 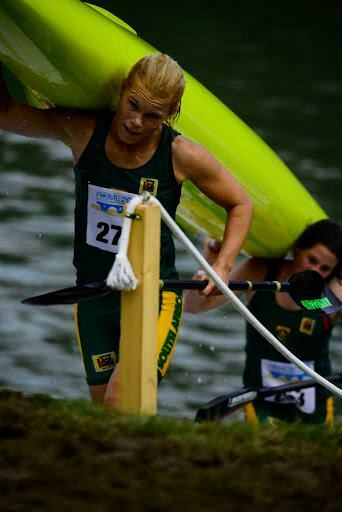 However, first up is the FIRST EVER OFFICIAL WORLD SURFSKI CHAMPS in Portugal in 4.5 weeks time! I can’t tell you how excited I am about this. 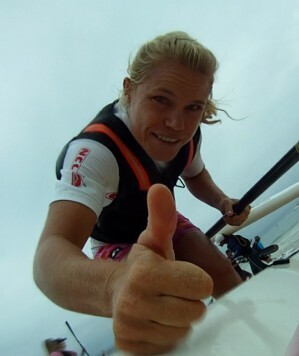 A huge step forward for the sport of SurfSki, and a pretty cool event to be a part of! I can’t wait! Best of luck for both races. Hope they result in some real metal.